I love it when people send me photos of the quilts they have made using my patterns. Liz just recently sent me this photo of her version of my pattern “Winter Dreaming” a portrait of my kitty Socks, and here is what she had to say about the process. “I bought this pattern from you in Houston last November and have so enjoyed making it! 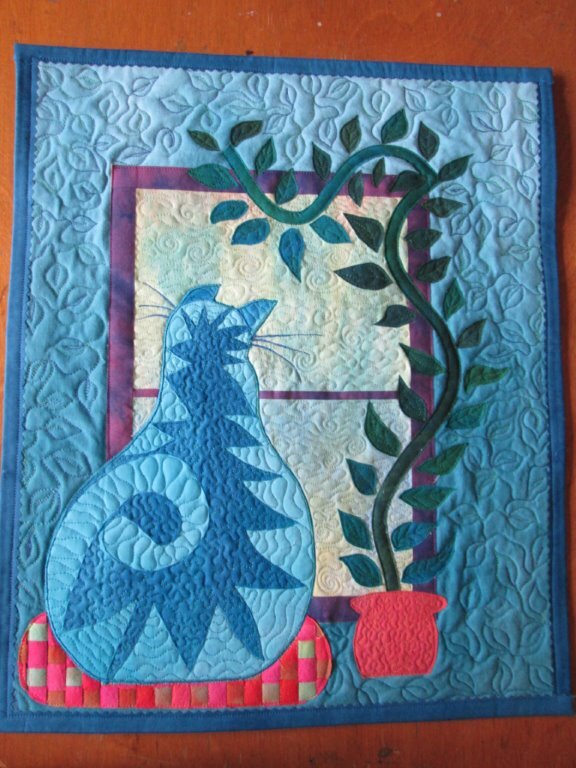 I used my own fabrics to make a turquoise cat for my friend’s significant birthday – she chose the color although had no idea I was making it for her. Thanks for sharing Liz and job well done. I am so happy for you and your friend.